In 1997, Amby Burfoot, an editor of Runner’s World, asked me to write a Beginning Runner’s Guide for the magazine’s first venture onto the Internet. Much of the information contained in that guide (later published as a booklet) remains valid today. Stacey Saunders, 38, a stay-at-home mom from Irmo, South Carolina, started running in June 1999 because she faced something new and unwanted: a permanent off-season. "Out of college, I had nothing to train for anymore after more than eight years of team sports," she says. Let’s begin by defining the workouts for novice 1. When you begin novice 1, the first workout you encounter on Monday (and all Mondays) is rest. It may seem counterproductive to consider rest a workout, but rest is as important a part of your training as the running. Once you have chosen your half marathon, the secret to success is consistency. There’s that word again, but you need to make walking a regular habit - a daily habit, not just something you do on the weekends or when the weather is nice. 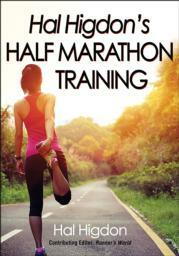 Hal Higdon’s Half Marathon Training offers prescriptive programming for all levels of runners. Not only will it help you learn how to get started with your training, but it will show you where to focus your attention, when to progress, and how to keep it simple. Higdon continues to run and bike with his wife, Rose, from their winter and summer homes in Florida and Indiana. They have three children annd nine grandchildren.